The board members - APNE MARTINIQUE ! Katharina BLUM was born in Martinique on September 18th, 1981. At the age of three, she joined the APNE because she was already concerned about protecting the environment and Martinique's wealth for future generations. She regularly takes part in actions in on-the-ground actions with the members of the association. 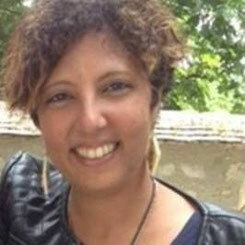 Her implication within the APNE has been highlighted in 2012 , in a television show called " Portrait d'ici", dedicated to the youth from Martinique. She has a Master degree in Political and Public Communication and brings her skills to the APNE and to her island. On May 2nd, 2015, Katharina BLUM was appointed President of the APNE.